I notice that this happened for 2 images of different sensing date (even they're just 3 days away). It is difficult to be entirely sure, without more information, but consider setting all bands to no-data if any of the included bands is no-data / 0. That usually fixes many of the image-border issues seen in remote sensing. This problem usually arises when the sensor from one band provides slightly more information than the other sensors. If that does not solve it, look into which values you are seeing in those pixels and consider if you are including more spectral bands in your mosaic than what you are actually showing in the illustration. Not the answer you're looking for? Browse other questions tagged mosaic sentinel-2 date or ask your own question. Downloading sentinel products using API? 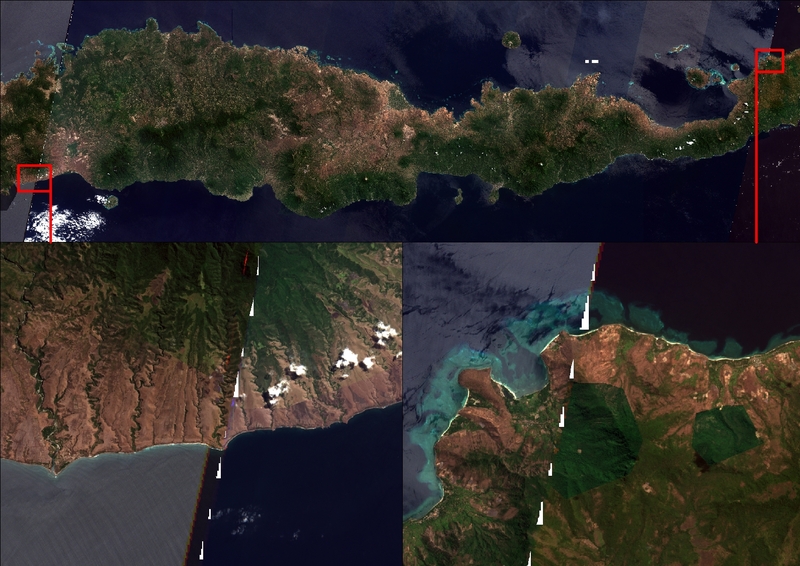 Earth Engine: nearly identical Sentinel 2 images for same date, same place?